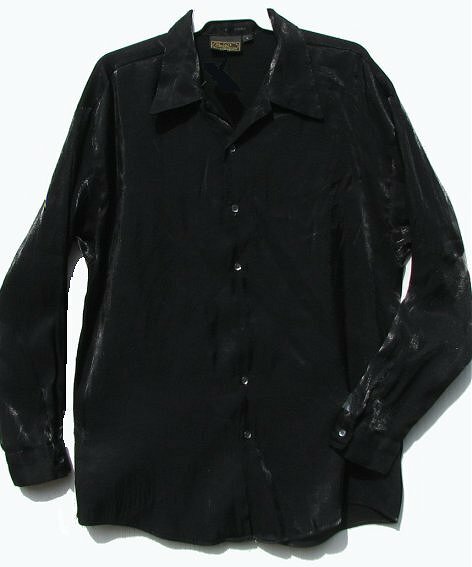 This true black satin shirt has a shimmer to the fabric that was a bit hard to catch with a camera. It has a nice wide spread open collar that makes is perfect for a disco look. It is machine washable on gentle, hang dry. It is a true size large fit as the chest will fit a size 42. It measures 46" around, but one needs a little room to move. The sleeve length is 33".